Item No. 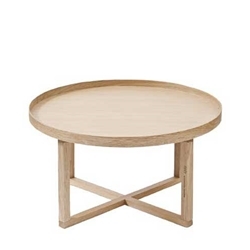 162 Low Round Oak Coffee Table. The full circle lipped edge and removable top is a nice feature for serving.